Bedazzles After Dark: Target's Dip Dye Trend: Not Just For Your Hair! 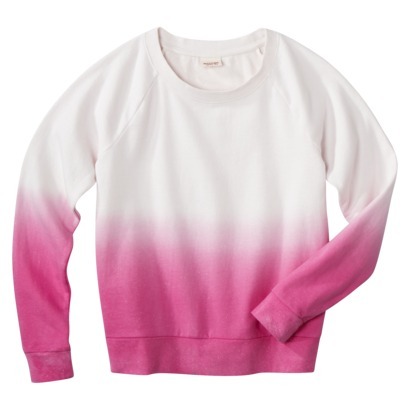 Target's Dip Dye Trend: Not Just For Your Hair! The closer the calendar reaches spring & summer the more I want to start wearing cutoff shorts, sandals & tanks! It also means trips to the beach for this SoCal lady! 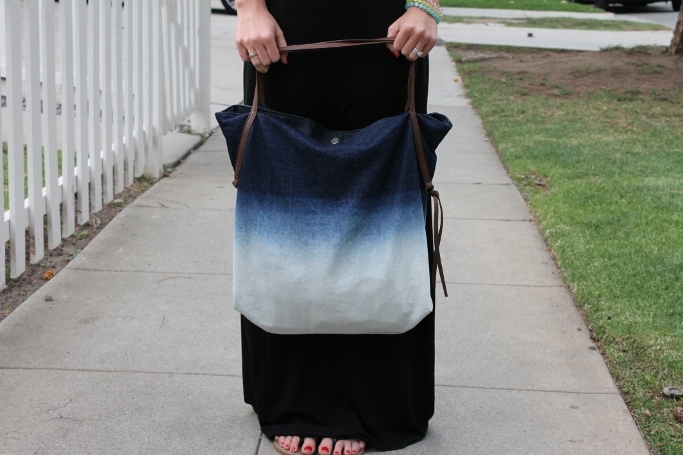 So I took my new favorite Denim Dip Dye Tote along for a spin this weekend. I can see how this bag could easily become my new favorite carry-all (it hold everything) But I really love the coloring! It's so bright, unique and perfect for spring. Plus, the denim will go with anything in your wardrobe. I've got a trip to Hawaii coming up and I have a feeling this will be new best friend! I took it with the beach to me yesterday (wearing this outfit) (well minus the necklace - threw that in the tote last minute to put on after the beach when we strolled along the promenade and had a very happy hour.) 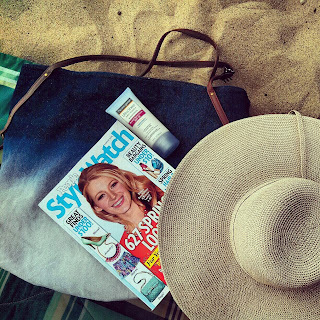 This tote was a perfect companion to my maxi dress & floppy hat - something every girl has in their wardrobe! While Bill was playing volleyball, all the ladies at the courts told me howmuch they loved the bag and said they could wait to visit Target to scoop it up. 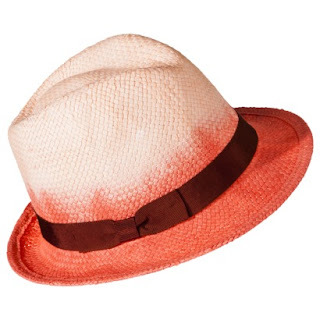 How perfect would this ombré fedora be for summer concerts? Plus for the price, you could nab it in all 4 colors! I practically live in my cutoffs during the summer! A dip dye pair with a white tee, sky high wedges and statement necklace is what I plan to live in until September. What about you? Do you plan on trying Dip-Dye? I can't wait to see if you do! I can't tell you how many times I've picked up that bag but not bought it because I had a cart load of 64 other items. Love it!! What cute stuff! Target is the best. Super cute! And you KNOW I LOVE Target!!! 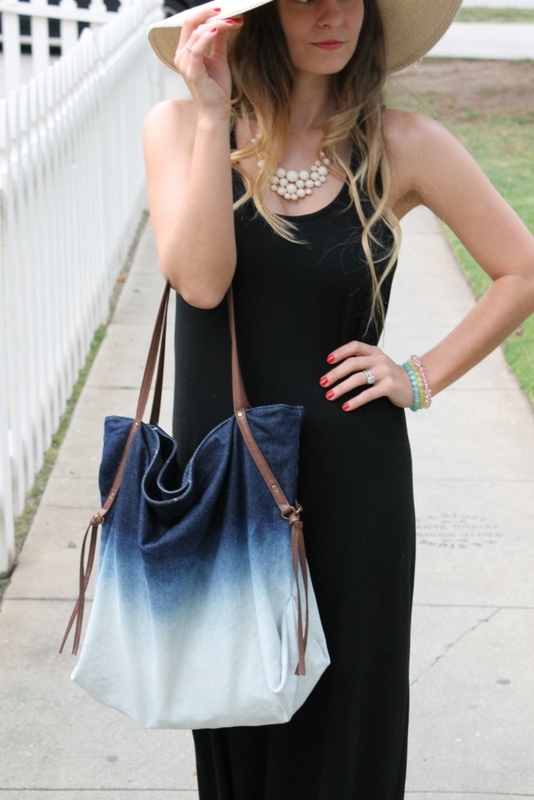 That ombre bag is amazing, and I love your maxi! 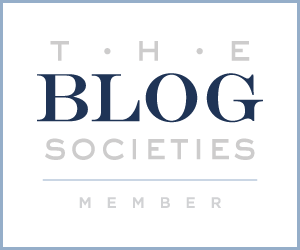 $1,000 Visa gift card giveaway! Definitely love the dipped dye trend! You are adorable girl, loving your style! I love this outfit! It's so easy and gorgeous! And I love the tote!! must. collect. all. the. ombre. target does it again! love everything & you've styled it perfectly! can't wait to see all your looks!